If you’d like to make your life easier, try taking advantage of these products for a well-connected smarthome. Voice assistants – Probably the most popular smarthome product, a voice assistant can answer questions, play music, set alarms, and connect to your other smart devices simplifying your smarthome systems even more. Security – With a smart security system, you can rest easy whether at home or away. 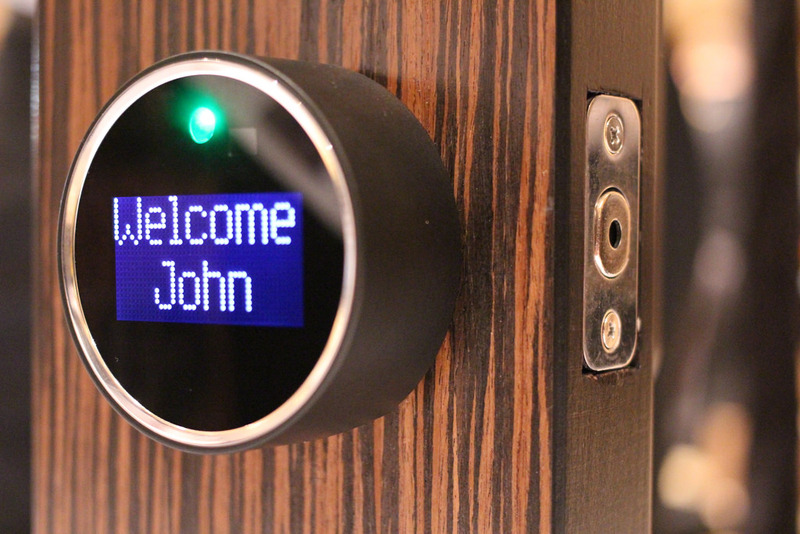 Video doorbells allow you to talk face-to-face with visitors. Floodlight cameras have built-in night vision and employ LED floo dlights, alerting you in case something goes bump in the night. Locking and unlocking your front door from wherever you are is simple with an electronic door lock that is synced to your smartphone. Lighting – You can set smart lights on a timer to help you wake up more naturally than by the jarring sound of an alarm. Take your home to the next level with voice command color-changing lights and special dimmer settings. Appliances – Most people have heard of robot vacuums, but did you know about robot mops? There are many other smart appliances that can make your home life a breeze, such as smart purifiers and a home weather station.